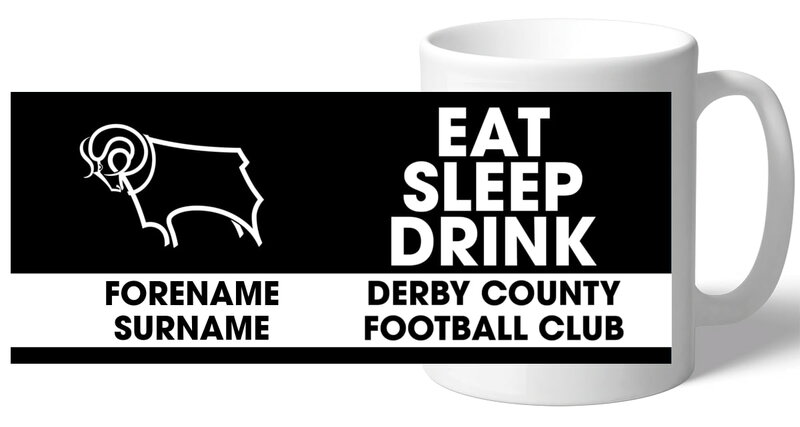 Designed using the traditional Derby County Football Club colours the mug reads "Eat, Sleep, Drink, Derby County Football Club" and is personalised with your chosen Forename and Surname. 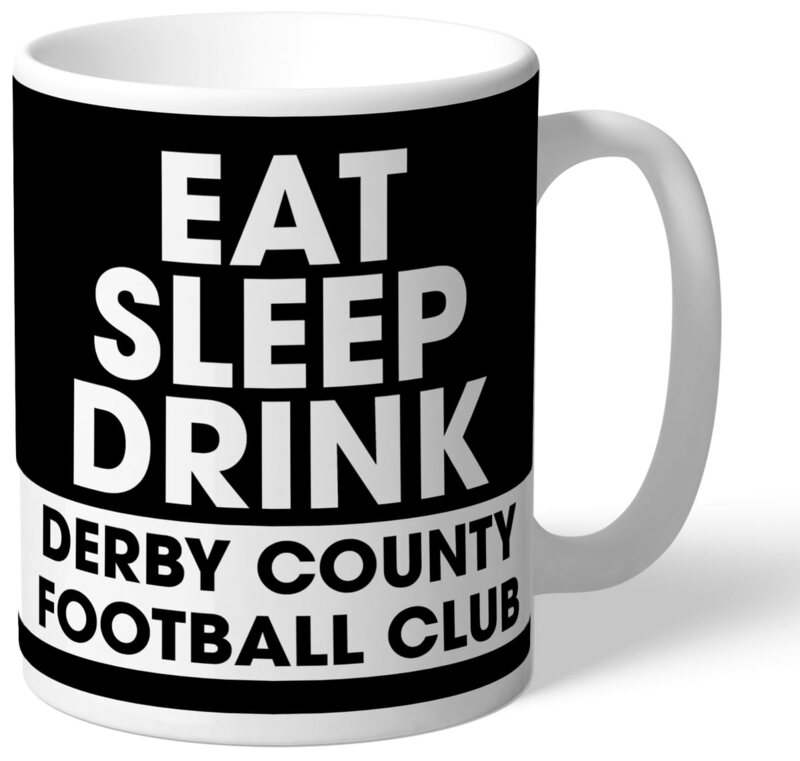 A fab and unique mug that any Derby County Football Club fan would be proud to own! Our Derby County Football Club mugs are dishwasher and microwave safe.